Scott is a founding partner of McDaniel, Richardson, & Calhoun PLLC. He practices in the areas of education law, employment litigation, commercial litigation, civil rights litigation, personal injury law, and appellate practice. 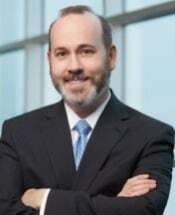 Scott has litigated cases in both state and federal courts, handling appeals in the Arkansas Court of Appeals, the Arkansas Supreme Court, and the Eighth Circuit Court of Appeals as Senior Assistant Attorney General. Additionally, he has represented clients at the Arkansas General Assembly. In that role, he has advised legislators and state agencies on the legal effect of legislation, spoken before numerous committees, and advised legislators directly. Deer/Mt. Judea Sch. Dist. v. Kimbrell, 2013 Ark. 393. Fitzgiven v. Dorey, 2013 Ark. 346.